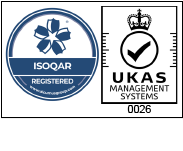 We take compliance and accessibility very seriously at Meantime IT and insist on the highest possible standards in everything we do. 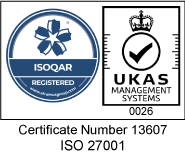 In 2015 we achieved the global pinnacle of security standard certification, ISO27001, and this year we are working towards ISO9000, which will further certify our commitment to quality in our business processes. The letters PCI are the initials of the Payment Card Industry but the phrase PCI compliance itself refers to the Data Security Standard, which the PCI set up as a global benchmark for online payments. The standard is evolving and requirements changing on an almost weekly basis - you can see current requirements here on the PCI's DSS compliancy website - but in a nutshell, if you are transmitting, processing or holding on to cardholder information then you need to be compliant with the PCI's standard. If your bank hasn't been in touch for proof of your PCI compliancy yet, it will be. We do the hard work for you. We monitor daily for known software vulnerabilities and ensure that your website is fully compliant. Your customers can rest assured that their transactions are safe too - e-commerce software that's just a couple of days out of date can enable hackers to steal credit card details, which is why we get instant alerts on essential software updates and install them as they come in. In short, if your retail website is on our server, you know it's safe. There are some vital things you need to consider when it comes to even the most basic brochure site, the most important of these being accessibility. This means ensuring your site provides the means to ensure people with disabilities can still use it. There is a wealth of material on the web which attempts to distil the Disability Discrimination Act for websites but we'd be happy to explain to you what makes a site accessible and how to check that it is.